This beautiful 14K rose gold antique style wedding band is elegant and intricate. 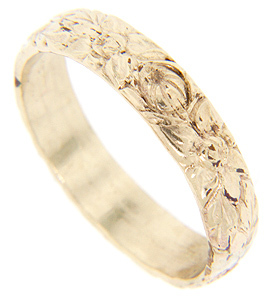 The floral design spans the breadth of the ring and circles its circumference. The ring measures .2” wide. Size: 11. Cannot be resized.